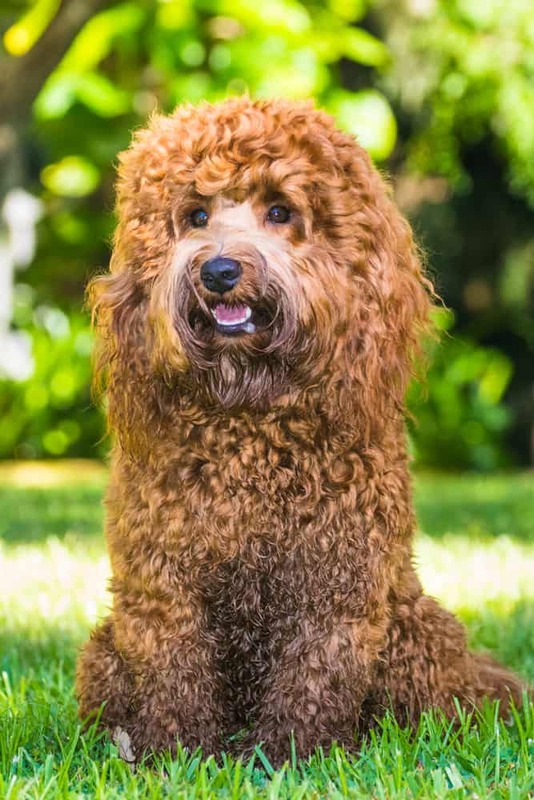 Our multi-generational Australian Labradoodle puppies are $2,700 regardless of size, color, markings, or gender. Your puppy is reserved once we receive a $500 non-refundable deposit and a puppy application. We turn away many potential customers once deposits are made and the litter is fully sold. When buyers change their mind, we must reopen the litter and start advertising once again. That additional time, effort and expense are why deposits are not refundable. The $500 deposit will be applied to the purchase price of your puppy. Payment in full for your JoaLins puppy is due at least two weeks before your puppy’s published go home date. If you won’t be able to pick up your puppy in person and have pre-arranged with us to bring your puppy to you, those additional travel costs are also due with your final puppy payment. If you have made arrangements with us to provide your puppy more in-depth “Puppy Culture” training in our home for additional days after the published go home date for an agreed to price per day, that additional training cost is due at the same time payment in full is due. If it is more convenient for your family, you can make periodic payments instead of paying the entire balance at one time. These periodic payments are refundable. Only the initial $500 deposit is non-refundable. If circumstances come up that don’t allow you to accept your JoaLins puppy at the agreed to go home date, you may roll your deposit over to the next available spot in another litter. Your deposit is valid for 1 year from the date it is received. What you will get with your amazing puppy from JoaLins. A 2-year health guarantee against genetic problems that would alter the quality of your puppy’s life. Puppy paperwork to include a copy of the puppy’s pedigree, a copy of mom and dad’s pedigree, medical history chart, a copy of the veterinarian’s examination, registration paperwork, puppy feeding instructions, and other information. A snuggle blanket with mama and littermate’s scent. A bag of the high-quality puppy food that the puppy has been eating since weaned from mama. This bag of food should last you about 4 days. A 30-day free puppy health insurance policy. An examination completed by a veterinarian, first round of puppy vaccinations and de-worming. A leash and a collar. A puppy that is raised from day 1 in an enriched, controlled environment by experienced care givers whose primary focus is the physical, social and emotional well-being and development of your puppy. We do everything we can to assure a well-adjusted, healthy, happy puppy. 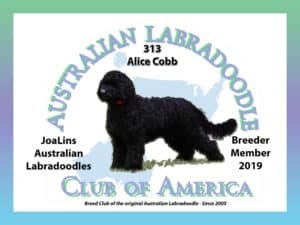 A lifetime of support from JoaLins Australian Labradoodles.